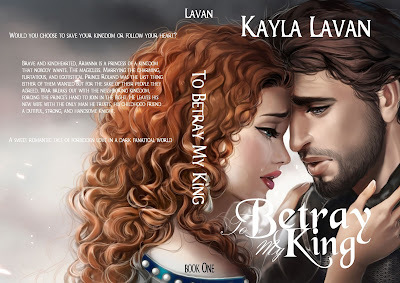 Brave and kindhearted, Arianna is a princess of a kingdom that nobody wants. The magicless. Marrying the charming, flirtatious, and egotistical Prince Roland was the last thing either of them wanted, but for the sake of their people they agreed. War breaks out with the neighboring kingdom, forcing the princeâs hand to join in the fight. He leaves his new wife with the only man he trusts, his childhood friend, a dutiful, strong, and handsome knight. I've been writing half of my life, starting at the ripe old age of 13. Back then my favorite pass time was doodling in class, sleeping in class, and studying tests or homework that was due the next class period. But by night I lead a secret life. I would go home, turn on my computer, and get on my dialup Internet (which makes me sound really old) and I would write. At first it was for fun. I was brave back then and posted everything online. In the 14 years I have been writing, I have posted over 1.5 million words, all of which is still available to read for free. My most well known story being "Fun 'N' Games at Ouran". A year or so ago I posted a one-shot that was 50k-60k in words. Afterwards, I looked at it laughing, and said to myself "I think I would like to get paid for this now" and then 'To Betray My King' was born. It seems so simple as I'm sitting here, typing this for you to read, but it's the truth. 'Betray' is my first book, but it won't be my last. I love writing. I would never give it up for anything in the world.